Have you ever felt you were born into circumstances too ordinary to ever be able to live the life you dream of? Do you want something more out of life than the mediocre nine-to-five that you are currently living, but you don't know what or how to obtain it? This positive and encouraging book will introduce realistic and foolproof solutions for your day-to-day life to get you out of your slump and into the life of your dreams. With this deep sleep hypnosis accompanied by a wonderful ambient soundtrack, you can rebuild your world from the ground up, priming your mind to become the ultimate abundance magnet while you drift away into a deep slumber. 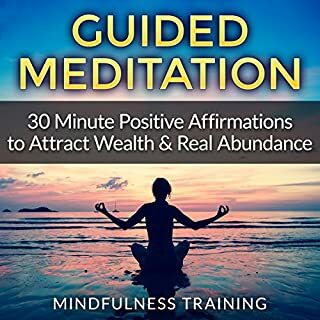 Filled with carefully chosen positive affirmations to manifest wealth and abundance, you can use this hypnosis every night! Relax your mind and relieve your stress! 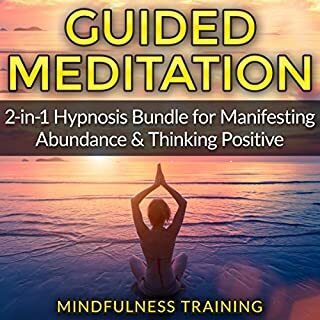 A two-in-one hypnosis bundle for a clearer mind and better sleep! 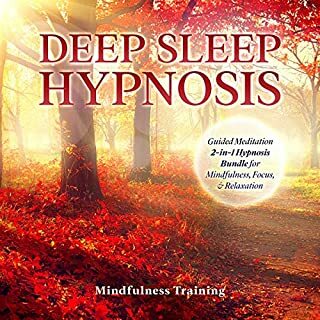 With this deep sleep hypnosis bundle accompanied by two wonderful ambient soundtracks, you can rebuild your world from the ground up, priming your mind to find peace and relaxation while you drift away into a deep slumber. With these two carefully chosen meditations, you can use these to embrace an amazing sleep each and every night! 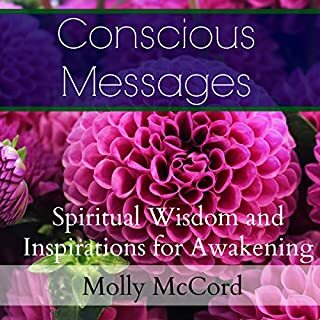 From affirming that Where You Are Is Where You Need to Be and owning your personal truth, to cosmic perspectives on emotional energy, being in alignment with your intentions, and expanding beyond limiting belief systems, these 21 brand new channeled messages provide you with simple, direct perspectives about stepping more fully into your soul's light. One to keep on your nightstand for joy, clarity, and empowerment! 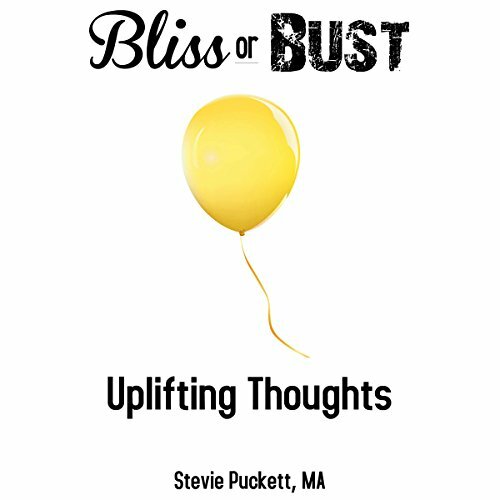 Bliss or Bust: Uplifting Thoughts, by Stevie Puckett, is a different kind of book. It is not filled with the author's life story or case studies or research. It is an easy and potentially powerful listen. It will help you realize the practical importance of disciplining your thoughts through awareness of your emotions and how to use them. It is also about intuition, how to trust it, and why it can provide a life-enhancing advantage to intentionally develop it. This book is short and sweet. It is not a book that you will necessarily want to listen to straight through. You may just listen to it when you want a lift or just hear one entry a day or one entry at different points in the day. You might even just pick it up occasionally and fast forward to a special message to consider. Bliss or Bust: Uplifting Thoughts is a compilation of ideas to help build a foundation from which to live a more enjoyable life intentionally and authentically. 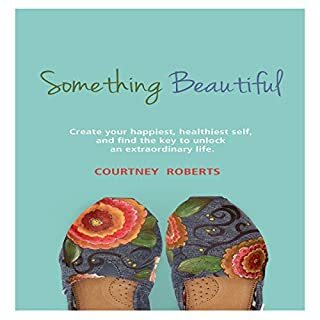 If you are open to a new perspective that will ease your mind and help you to feel your best, then you are going to love this book. A nice collection of insightful information for anyone wanting to better themselves. This book is bursting with encouragement to lift your spirit. Vibrations and attitude effect everything from karma, to how others react to us. Acquiring a tranquil life is a work in progress. By focusing on the beauty you can deflect the negative and attract happiness. I think Stevie did a stellar job writing and narrating this book. Stevie Puckett gifted me this book in exchange for my honest review. Definitely worth listening to for anyone wanting to be the best possible version of themselves. 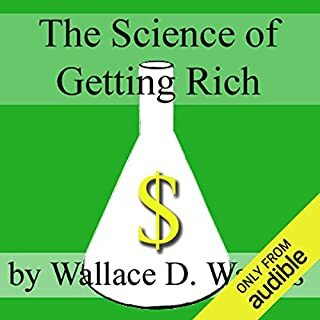 I was given a free code to listen to this audiobook in exchange for an unbiased review. Stevie has a nice voice but it feels rushed so after listening to this book for about 15 minutes I felt tense and there seems to be an underlying saddens as she reads. The reminders in this book would be good as reminders to listen to when you need to reframe your thoughts. Throughout the day. When your thoughts get out of control and you need some simple reminders of how to focus and what to do to think correctly and straightly, you could take a break in your day to listen to some of these reminders and use them. So listen straight through it the first time to get a feel of what kind of Reminders, and uplifting thoughts that there are, and use them when you feel like it will do best for you. Since this is not a story you wouldn't necessarily listen to it like a story but you would be listening for things you could use in your life to help you focus and reframe your day. You might even want to take note of what kind of reminders are in each chapter so that when you go back to it and need a certain topic you will know the chapter that it is in. I will be using these on and off for a little while and see how useful they are. Best wishes and uplifting thoughts to all. I would take this audio book in sections. The thoughts and advice are great and heartfelt and listening only in short bursts give you something beautiful to think about all day. This is definitely food for the soul. Had me smiling more than once. A beautiful idea narrated wonderfully by the author! great tips! loved the narration. I was voluntarily provided this free review copy audiobook by the author, narrator, or publisher. Would you consider the audio edition of Bliss or Bust to be better than the print version? What other book might you compare Bliss or Bust to and why? I haven't really read or listened to any other self-help books/audiobooks in the past. So, I can't compare this to any others, but I would think that it would be something similar to Tony Robbins or Deepak Chopra. The "Improving Relationships" chapter is highly valuable and her early quote,“Always be looking for what you can appreciate in the moment,” is the best thing I can think of to ensure a good attitude, response, or focus of pretty much any situation. Bliss or Bust by Stevie Puckett was a good quick read. It was a great book about the importance of disciplining your thoughts and emotions. It was a good read to help with how to use your emotions. Bliss or Bust was an amazing listen. I listened through the entire audiobook and found many, many places I want to revisit. I'll likely listen to this one again and again. It's nice to look at things in the light of Stevie Puckett's sage wisdom. It's so easy to get caught up in day to day drama and forget what you SHOULD be doing. Some of this comes natural for instance when I need to de-stress, I do pick up my paints or pens and do artwork. But it's not always that simple. I can always listen to this audiobook and get reminded though. Thank you. I love when the author narrates their own book. An overall wonderful job and definitely recommended. I got this ARC via audiobook boom. This book was filled with thoughts and ideas on being happy, industrious, and a positive member of society. Many of the things were common sense things but as my baby sister always says, Common sense is not always common. ; So there are people who may need to listen to this book several times to have it help change the negative aspects of their lives to positive ones. The narration was not really to my liking but was decent. ... but heed the book description and listen a few minutes a day. Stevie is an eloquent speaker. Her voice is calm and patient, without being condescending. Her advice/"steps" are simplistic and easy to follow. Best if one ponders over 2-3 each day/week, as one practices and creates better habits. There are a couple reasons I've given this short work a five star rating. Stevie Puckett has found her niche with this work. She has done a beautiful job of clearly expressing a series of thoughts, that are each an uplifting meditation. Her performance here is one that reflects the simplicity and purity of this positive thinking. You will enjoy this as a positive affirmation to fall asleep to at night or starting your day with.